The most enertaining G3 concert. Know why? You got it, because of Mr. Fast Hands himself: Yngwie Malmsteen. Eric Johnson and Petrucci are good, but Malmsteen has the international reputation of giving a good show. And he doesn't prove us wrong, again. Again, Steve Vai's set is the most noticable; Satriani's being too simple, Malmsteen's way too loud. Vai in the middle of all this, is well supported with an all-star team of good instrumentalists. They cooperate nicely and they add a lot of humor in their set, which is a big bonus considering the quality of the material they're giving, with perfect timing. Satriani's set is a bit quieter with some rocking moments. He benefits of more lighting equipement and of a more diversified approach: mixing romantic songs with powerhouses. Again, his precise technical playing (almost a dream) and the catchy melodies are giving a more accessible edge to the concert. Malmsteen's big. Physically and musically. Big Marshall stacks, big drums and he cries more than he sings. He big on stage, taller than Vai and probably weighting more than Joe and Steve together. All dressed in leather, sporting jaguar straps and boots, he like from another era. Despite the fact he's stuck in 1983 mentally, Yngwie stays my choice for best stage performance of all. He twirls, jumps, runs, spins, laugh without missing a note. Sometimes he's not even playing on the neck, sometimes with his teeth, but always incredibly, almost unhumanly fast. HIs solo on the acoustic guitar is a sight to be seen. Holy molly, he has tremendous talent...he's just expressing it with a lot of ego. A lot. As said, the songs performed by the G3 are exquisite, especially Rockin' in the Free World by Neil Young. The other are Hendrix numbers. Do not listen this one before buying, it's no use and you'll spoil the surprise element. This is a very, very, very tight show with lots of humor (from the 3 guys actually) and you have a funny talk with the 3 guys in the credits that I find hilarious. 3 different guys, 3 personnalities but a sincere cohesion that makes this DVD the best choice between the G3. Go buy this eyes closed. This is probably the best G3 concert so far, brings the "jamming concert" to a new level. Three virtuosos compete in techniques and feeling of the riffs, from left to right, Joe Satriani, Steve Vai and Yngwie Malmsteen. And just like the other G3 concerts, each guitarist plays two to five songs, their own songs and last but not least, they jamming together, truly awesome. The first to play is Joe Satriani, which just like other G3 concerts, he played five songs: Satch Boogie, The Extremist, Midnight, Starry Night and The Mystical Potato Head Groove Thing. 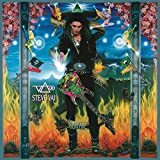 After Joe Satriani, Steve Vai takes place on the stage. Amazingly, he played his triple neck guitar to play I Know You're Here which was very awesome. Until now, I keep wondering how heavy the guitar is. Next, Steve played Juice, which started with a cool tapping riff, then ended with I'm The Hell Outta Here. Steve Vai is always be my favourite in every G3 concert, because he plays so great and the can communicate with the audiences through his performances. For Yngwie, he is not my favourite guitar player, since he plays too, I don't know, too classical and his guitar sound is not my favourite, too crunchy. The jamming session is truly amazing and is the best in terms of performances, techniques and musicianship. And just like every G3 concert, Vai dominates the jamming with his tremendous skills and techniques. Also, in my opinion, in every G3 concert, Vai always compete with any guys on his left hand side, or the guess. This time, he competed with Yngwie, and you can imagine, greatness. Joe Satriani, as always, a player who don't really has tremendous skills (in my opinion), but his selections of notes always astonish me, his notes selections are just amazing, deep feeling inside every note he played. So Joe Satriani is more like the moderator of the jamming if you would like to say that. The songs that were selected also very well, two Hendrixs, Voodoo Child and Little Wing and a song by Neil Young, Rockin' In The Free World. 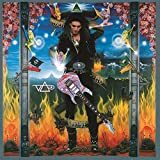 The best part is in Little Wing, where Steve Vai's solo were just AMAZING!!!!! WHOA!! How did he do that? Great speed and power, one handed tapping for the whole solo, just great. Yngwie? What more could you ask, speed all the time, its great, however, I get bored when he did the solo. Joe Satriani, on the other hand, just like I said before, his selection of notes are truly great, very beautiful. Its amazing how three virtuosos from different style of music got together to play on a stage. 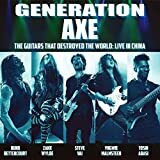 This is probably one of the best DVDs of a live concert performance of virtuoso guitarists that you can get. With three of the most and influential legendary virtuosos. The sound quality is great, production is great, the choice of camera angles and editing is top notch, and all the G3 DVDs really show how a live performance of instrumental virtuosos should be made. Joe Satriani's set consists mainly of classic Satch songs, with Satch Boogie up first, and as always a classic rocking track. There is a good version of The Extremist here, and up next is what was one of his newer songs at the time, Starry Night, which is a ballady, melodic affair, very nice if not that amazing. There is the stunning Midnight, an awesome neo-classical instrumental showing Joe's two hand tapping prowess, and this version has even more feeling than the studio album version. The Mystical Potato Head Groove Thing is another classic, very straight forward in structure, but the 'chorus' section features an amazing display of virtuosity, with his use of the right hand cross over string dampening technique while playing arpeggios with his left hand only. I remember my jaw just pretty much dropping the first time I saw this, as I had never seen any live performances of Satch prior to this DVD when I got it in 2005, and to this day it never ceases to amaze me how effortless that he makes that lick look. Vai has less songs in his set, but just as punch as Joe's set. On I Know You're Here, Vai plays an amazing opening solo, utilising a 3 neck guitar. Some may find this boring, but I just find it astounding to watch everytime. When his vocals kick in, so does the rest of the band and his vocals sound very good here. Juice is of course his rocker from the album Alien Love Secrets, and it's nice too see him perform it live, and it's great to see him enjoy it so much. I'm The Hell Outta Here is the highlight of the set for me, with an awesome bass solo from bass master Sheehan, and a cool duel from Vai and Tony Macalpine. It has so much energy and flow, that it almost seems over too quickly and I always seem to want more. Yngwie Malmsteen is the consummate showman, and again proves his mettle here. He kicks wildy, throws his guitar around himself in reckless abandon, while never missing a note during his set. He kicks off with his classic Evil Eye, which he plays with much fire and passion. Baroque 'n' Roll just seems a little too unrestrained for me, and could do with less guitar solos and more melodic lead lines to be honest, but still a great performance regardless. His acoustic solo is very technical, but doesn't suffer from a lack of feeling fortunately. Adagio has some beautiful guitar lines, and is a very soulful song indeed, more so than you would expect from the shred meister Malmsteen. 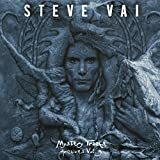 Far Beyond The Sun really rocks here, and is of course another classic fan favorite, with his solos and riffs just as precise and awesome as the original studio version. He ends his set with wildly throwing and gradually destroying his Fender Strat. A crazy set no doubt, always entertaining. The jam is just devastating, absolutely mind blowing to say the least. Even if you don't have the time to watch all of the DVD on your first viewing, make sure you watch the jam. Once Satch introduces the other 2 Gs on stage, they kick into a a jam version of Rockin' In The Free World with Satch on vocals. Satch is not a particularly great vocalist, but his voice seems to suit it very well I must say, so it's not a negative for me. Once the guitar jam kicks in after the main verse and choruses are over, I'm just completely blown away. This a pure masterclass of technical playing and emotion in guitar virtuosity. Malmsteen even manages some incredibly good solos here, but sometimes it feels like he repeats himself. Satch and Vai on the other hand, rip out creative and original solos, solo after solo, and everytime with the power to just leave me feeling transcended above earth. 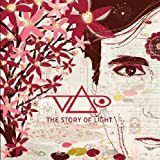 Little Wing features Vai on vocal, and he too sounds very good for the job. 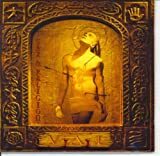 The intro is something that is usually very hard for the average shred guitarist, but Vai shows his got the rhythm guitar chops well up to scratch. The solos in the jam after the vocal section ends, just pure bliss, with Vai and Satriani's first solos always grabbing so incredibly much everytime. Voodoo Chile was my least favorite of the jam section, but still fantastic nonetheless. Yngwie does his harsh, crazy vocal style, but it seems to work well in the mix. The solos are pretty varied here, from more restrained solos from Satch, although he still absolutely tears it up at times, to the more shreddy style of Malmsteen. A little less emotion than the last two songs, but still much more emotional than a lot of shred guitar solos you'll hear. When it ends, it doesn't just end, but it feels like the end of something truly epic. An absolute must have for fans of virtuoso guitar. 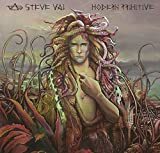 Post a review of STEVE VAI "Joe Satriani, Steve Vai, Yngwie Malmsteen- G3 Live In Denver"